Where You Should Host Blog Images Without Affecting Load time? There is a well said and actually thousands of times said old saying that “A picture speaks a thousand words”. This is also true in case of your site or blog. 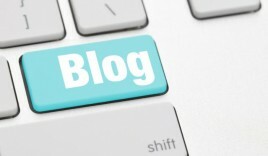 Images plays major role in success of your blog. When you have images on blog your concern is to use quality images and make images load faster without making your site heavy. Now you might have this question that Where your should host your blog images? If you are thinking that loading your images on server of someone else will help your site load faster than you are probably wrong. If you are hosting images on image hosting site like Photobucket, Flickr, Imgur, Dropbox then you should read post. The very big reason is that when you host images on other server you actually lost benefit of hosting images on your own server and also putting your blog at risk. If 3rd party site decides to go down you will loose all images. They can even delete your images or account. To save your site from above risks you should host your images on your server. BlogSpot bloggers need not to worry about hosting images as images are hosted on your linked Picasa account. But When you migrate your BlogSpot blog to WordPress, then you must import all images to your hosting server. If your blog is hosted on a server with limited bandwith than you should move to such server that offers unlimited bandwith such as Bluehost or Hostgator. You should take advantage of CDN. Cloudflare is a free CDN service and MAXCDN is a premium CDN service. It is really important to optimize your images when you publish them on your website or blog. Compress image using tools like Smush.it image plugin for WordPress or ImageOptim ( For Mac OS). Do share what is your strategy to get benefit of your images. Where do you ost your images? Do share your suggestion and questions in comment section. Don’t forget to share this guide on facebook twitter or any other social network. You can like us on Facebook, or follow us on twitter or subscribe our newsletter to stay tuned with us and get latest updates.